Sherif Hashim, the guy who found the exploit to unlock 05.12.01 / 05.13.04 baseband on iPhones running iOS 4 is back with a video, which shows us how to activate iPhone 4, iPhone 3GS and iPhone 3G without the original SIM card. You can use any SIM card you like ! iPhone 4 users though will have to cut SIM to micro-SIM card size before using it. so we need that sim? so I have an iPhone 3GS with official iOS 4.0 firmware (new bootrom)… I have an AT&T sim card… so this is should UNLOCK it for me? sorry for double post… but I live in another country than America but I have an AT&T sim card that i got with the iPhone from America… but it doesnt work anymore..
Amazing, I was thinking of buying a GoPhone SIM for AT&T just to use to activate, but I wasn't sure if it would work. This is a way better solution. I will definitely go buy a Phonebook SIM today. does the network work ? where i buy this simcard phonebook? Any idea where to get a phonebook sim card if you live outside the US? Couldn't find anything on eBay and nothing when I googled it. What is the SIM Card?? used for Activation? anybody got any links to the phonebook SIM, i called three radio shacks around me and none had it, been searching for this generic sim card… pls post links if you someone gets any. Wow. an actual worthy post redmond… YAY! Does anyone have a link for a place that sells phonebook sims in the US. im confused (and probably stupid) so after you activate the phone with the phonebook card, do you just pull it out and re-insert your normal sim… and start making calls… because somehow, that sounds really simple. do you need to put any entry in address book? i have WARID sim (64K, with 2x 250 entry phonebook), will that work? I dont live in the US and dont know where to get a blank sim like this….Can I take a sim card and wipe it out to make into a blank sim? If i activate my 3Gs with this phonebook sim card , can i use my T-mobile card on it? good work. However, to me it does not matter. It still involves buying an extra sim card whether a used at&t or the a phonebook simcard which is not widely available. 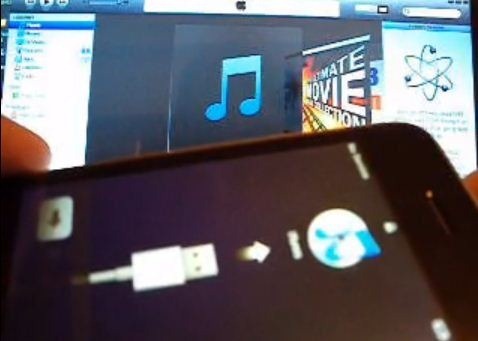 What is the advantage of activating via iTunes compared to hacktivate via jailbreaktools? Unlocking is still necessary or? hi .. can you tell me please where can I buy one of those cards to activate iphone ?? Are they available in Bahrain or Saudia Arabia? hi, where do you buy one of those except dits ? so far i cant seem to locate the phonebook sim card anywhere? Work just if you have a phonebook sim card, didnt work for me!! All this fuss will be over soon I hope. Really need that unlock and jailbreak for iphone 4. People are getting ripped on buying wrong sim cards. I would just like to use my phone and find out if it has any issues before the deadline to return arrives and passes. PLEASE DEV TEAM HOOK US UP….WE ARE DIEING OUT HERE! This is awesome for those who need active but then no AT&T simcard on hand. I live in Canada and bought an iPhone 4 on Ebay from somebody in the US and am waiting for an unlock to be released. But I have a 3G iPad and just tried the micro SIM card from it and it obviously didn't activate the iPhone 4 but thought I would give it a shot. Then I remembered I had an old AT&T card from an original iPhone that I bought in the US years ago. I trimmed the SIM to the same size as my iPad micro SIM and tried it in the iPhone 4 just as the video shows and VIOLA! It activated it! So you don't necessarily need the phone book SIM but thought I would pass on that info for you guys. Someone unlocked my phone with a master sim card. Now I think it was a phonebook sim card. What is meant by “activate” in this video? You're still can't make phone calls. is it for OS 4.0.1 ?? This was the best thing I've read for sometime! Totally adorable! The magic of the iPhone (and of other modern day gadgets for that matter) comes mostly from their compatibility with third party applications that Apple likes to simply call “apps”. I activated my frnd's iphone 3gs (new bootrom, 05.12.01) with my iphone settings while restoring to 3.1.3 in my computer with a random SIM…its not the straight-forward way but i think its still saves few $$ from buying phonebook sim..
Thats very nice but does it activates the push notification service also for jailbroken devices? Does it also work with a pay as you go card? will activating my phone utilizing this method allow me to jailbreak 3.1.3 3gs (new bootrom) with Spirit, followed by unlocking with Ultrasn0w?